For years I have avoided parking at Disney Springs. 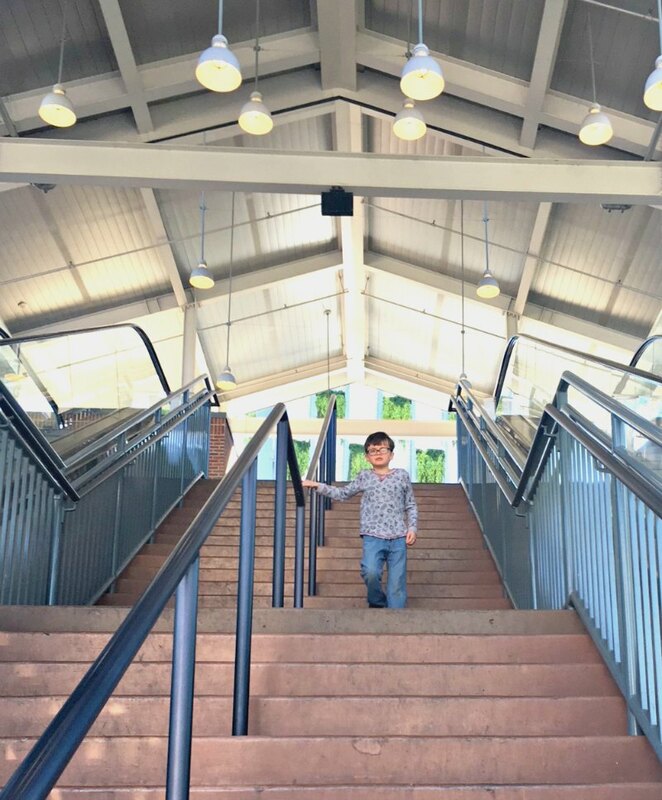 While we do usually have our van with us on vacation and are comfortable with the Disney World parking secrets we have learned, we always found it easier to use Disney transportation when it came to spending time at Disney Springs. That all changed on our last visit. This may surprise you, but not every visit to Florida includes a Disney trip for us. Weird right? 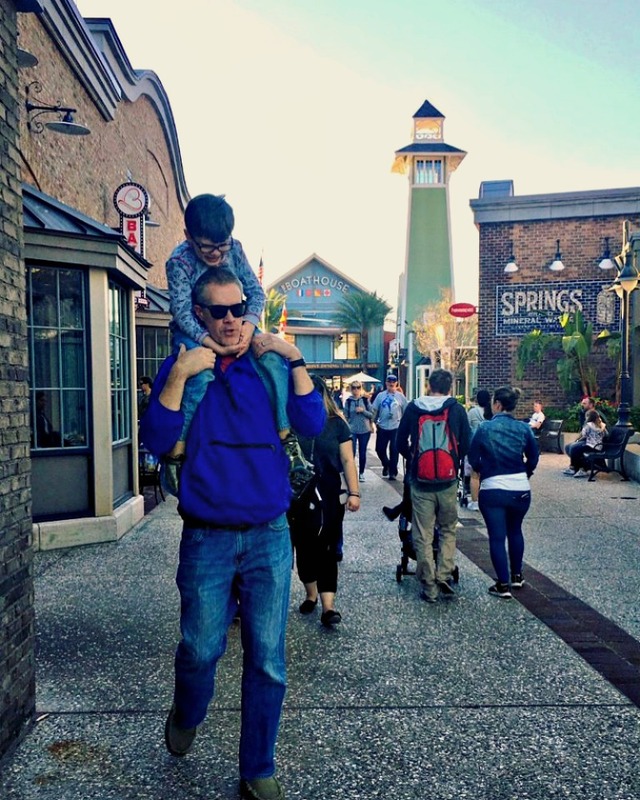 This time, since we had plans to spend time at the beach and LEGOLAND Florida, we only planned a quick stop at Disney Springs for dinner on our way through town. The new parking decks have been complete for a while now and I had heard how simple parking at Disney Springs had become, but this was our first experience. My affiliate links are below, which means I may earn money when purchases are made at no extra cost to you. Thanks for reading! And I do mean easy! 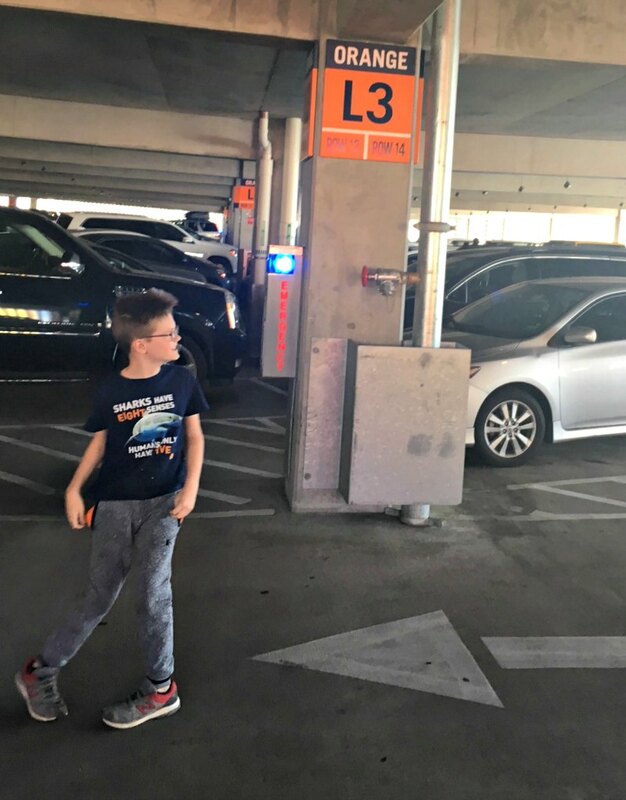 We took the exit from I-4 directly into the Orange Garage ramp where electronic signs (updated in real time) told us exactly which levels had spots available. We parked immediately and found our way down to the bridge on level 2 which is the entrance to Disney Springs. ProTip – don’t try to skip this step and go to street level. It’s blocked off! The bridge is awesome and means no crossing traffic. You have the option of elevators, escalators or stairs to get down to street level once you are on the Disney Springs side of the road. Calvin wanted to take the stairs so off we went. 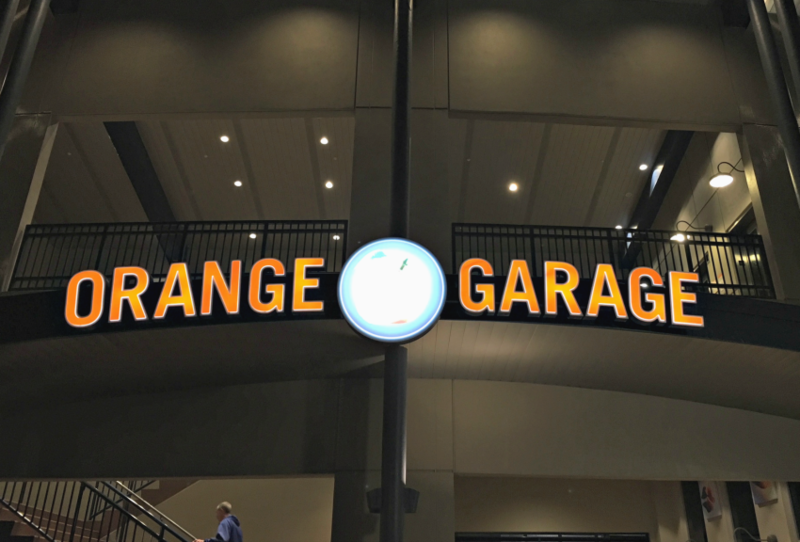 The Orange Garage is on the West Side near Splitsville and the AMC Theater while the Lime Garage is near Town Center and the Marketplace. Get directions from the Disney Springs website. Do you snap a photo of your parking location? I do this everywhere at Disney! We made it to our dinner reservation at The Boathouse right on time and enjoyed our evening stress-free. Well almost stress-free. I mean, we do have kids. But if for some reason we decided to let our kids have a night to themselves at the Pixar Play Zone kids’ club, I wouldn’t hate a date night at Disney Springs. I’m just saying! I am a big fan of Disney transportation but this was so easy and fast and simple that I daresay we will drive from now on, even during longer visits. It’s definitely more comfortable to have our own vehicle but the idea of hunting for a parking space was a big deterrent for us. With the current Orange and Lime garages on either side of Disney Springs and a third deck under construction, I was completely impressed with how easy it is now. And did I mention that parking is FREE? I’ve been going to Disney Springs (Lake Buena Vista, Disney Village, Downtown Disney) for my entire life and have so many fond memories of shopping, dining and holiday celebrations that I can’t stand the idea of driving past without at least a teeny visit! 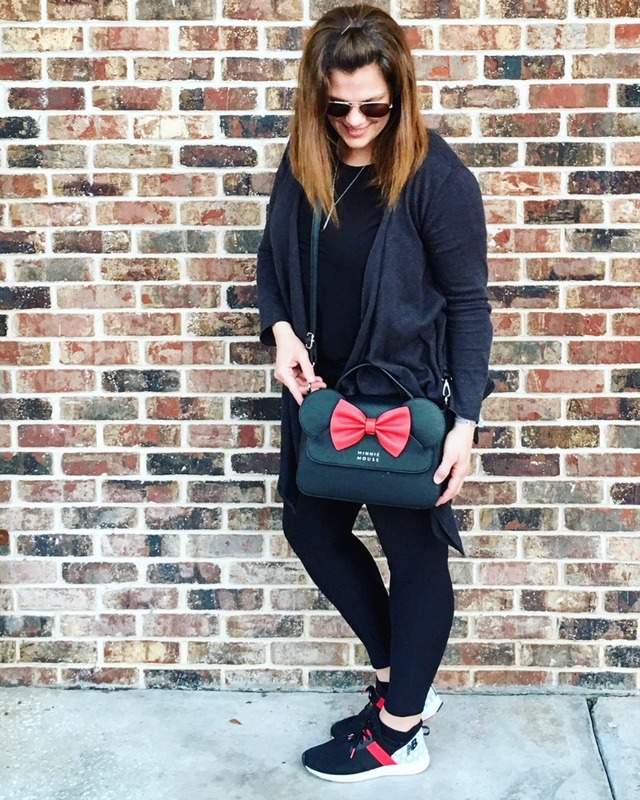 And I’m always looking for new themed items to wear at Disney so Disney Springs is a must stop for me. We had a lovely evening and just like with every other Walt Disney World trip, we learned something new. I’m thankful the buses are available for when we don’t have our own car, but I think we’ll be a driving family from now on. Bonus? More time for shopping! Was this post helpful? Please share and save for later!